Yesterday, I talked about eliminating the auto insurance company practices that result in Michigan consumers paying higher auto insurance prices. Stopping No Fault fraud – for both sides. That means as much focus on questionable medical providers as on claims adjusters who cause harm by denying valid claims in bad faith. Stopping ambulance-chasing lawyers. I realize this one doesn’t make me very popular with a growing number of personal injury lawyers, but the explosion in the past five years of lawyers who are working with doctors to take big attorney fees on medical bills has to stop to reduce auto insurance prices. I will discuss each thought in greater detail below and how they, too, will result in lower auto insurance prices. 1. Stop No Fault Fraud for both sides. No Fault PIP fraud by medical providers – and the personal injury attorneys and the runners these attorneys are using who play pivotal roles in their insurance fraud rings – is a crime. And it must be stopped. Until it is, No Fault PIP fraud will continue to cost everyone. But any commission looking into No Fault fraud should not be limited to medical providers and fellow confederates in their fraud rings. Real fraud is being committed every day by insurance companies and by their claims adjusters. It is a serious and growing problem that must also be addressed. Insurance company and claims adjuster fraud has also reached epidemic proportions in Michigan. This is in large part due to the fact that these adjusters and insurance companies have been granted legal immunity for bad faith claims denials that can cause real harm to people. For example, attorneys cannot bring a lawsuit for punitive damages to punish an insurance company, even for the most egregious of claims handling. They cannot bring bad faith claims. Attorneys cannot even bring a claim under the Michigan Consumer Protection Act. All an attorney can do is bring a No Fault lawsuit (which incurs costs and time), and at the very end, after the matter goes to verdict, get penalty interest and attorney fees. That sounds better than it is, as the case law in recent years has largely emasculated the ability of attorneys to collect penalty interest and attorney fees in the first-party world. 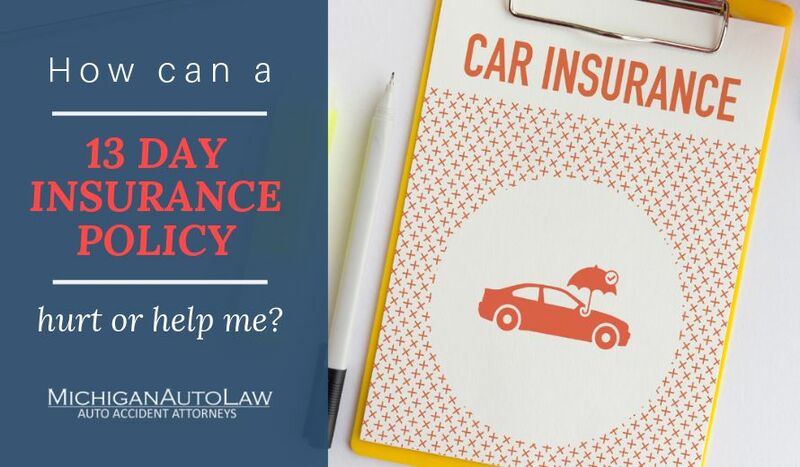 Enact meaningful “bad faith” legislation that prohibits auto insurance companies from mistreating consumers and requires auto insurers who act in “bad faith” to pay damages and compensation to consumers. Allow juries and judges to impose punitive damages on auto insurance companies who act with recklessness, malice or deceit toward their insured customers. Close the loophole that exempts auto insurance companies from the Michigan Consumer Protection Act, which otherwise protects consumers against businesses who engage in “[u]nfair, unconscionable, or deceptive” business practices. 2. Stop the ambulance chasing lawyers! My past blogs about this issue haven’t made me very popular with some lawyers. But the truth is, there’s a small but rapidly growing number of ambulance chasing lawyers who are contributing to No Fault fraud. Today, there are a lot more lawyers involved in this than there were just a couple years ago. I’ve written in the past how some lawyers and now law firms have figured out how they can make a lot more money trying to take a third to 50% attorney fees on medical bills (normally with doctors they’re working with), than they ever could trying to help people injured in automobile accidents. The problem, this also is causing consumers to pay higher prices. Part of the answer is strict and vigorous enforcement of the “ambulance chasing” laws prohibiting lawyers from “direct solicitation” of auto accident victims within 30 days of an accident. This is now the law in Michigan but it’s also being violated nearly every day by some personal injury attorneys. The other part of the answer is implementing new laws to shut down this incredibly ugly and demeaning side of our profession. Using the UD-10 crash reports filed by the police (downloaded from the Internet), these “ambulance-chasing” lawyers acquire auto accident victims’ personal and contact information and bombard them immediately with aggressive mail solicitations. Many of these lawyers now go one step farther and involve non-lawyers, chiropractors, runners and cappers to show up on auto accident victims’ doorsteps – within days or, even, hours after a car crash. The end-result is the lawyers and the people they’re working with push the crash victims into getting medical treatment and making No Fault claims, racking up big medical bills, and then bringing No Fault lawsuits to take an attorney fee on all of it. MCL 750.410b prohibits the “direct solicitation” of auto accident victims during the first 30 days after a car accident. MCL 257.503 prohibits any “person” from obtaining an accident report in order to make a “direct solicitation” of a car accident victim within the first 30 days after the accident. I applaud these laws – as a start. But I also believe they do not go far enough and much more can be done to stop these lawyers, including moving the 30-day ban on direct solicitation to at least 90 days. Tomorrow, I will discuss the actions related to the topic of making the auto insurance pricing process more transparent.